Look what I picked up at Goodwill today! 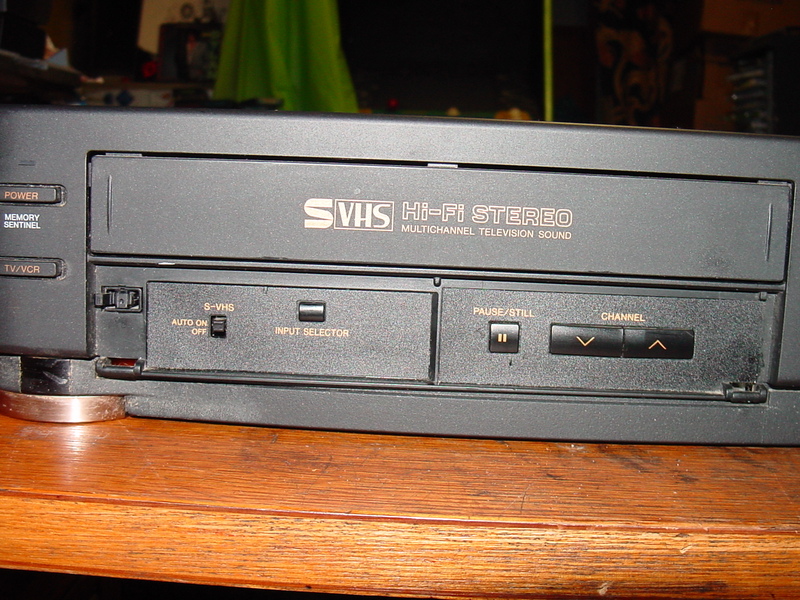 An S-VHS VCR! I’ve never come across one of these “out in the wild” before! And for the low, low price of $5, no less! 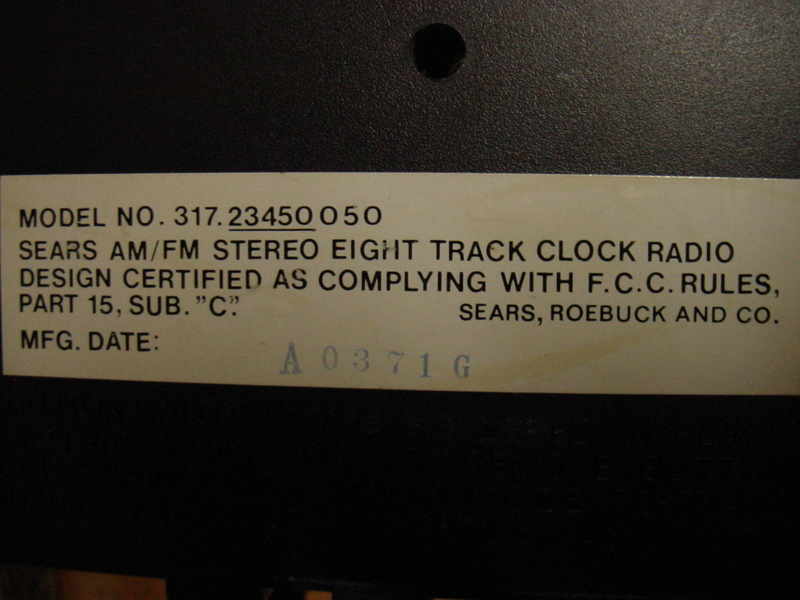 Goodwill is great about cheap VCRs, I’ve found some real winners there before. 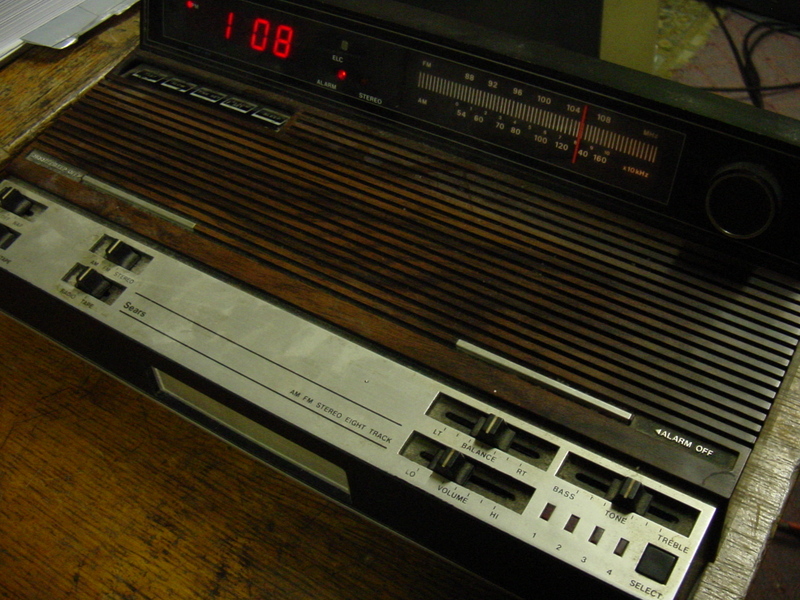 Today, they also had a Hi-Fi VHS VCR by GE from 1984 for the same price, but considering there was what looked like battery acid on the front as well as rust around where the tape loads, I didn’t even bother plugging that one in. 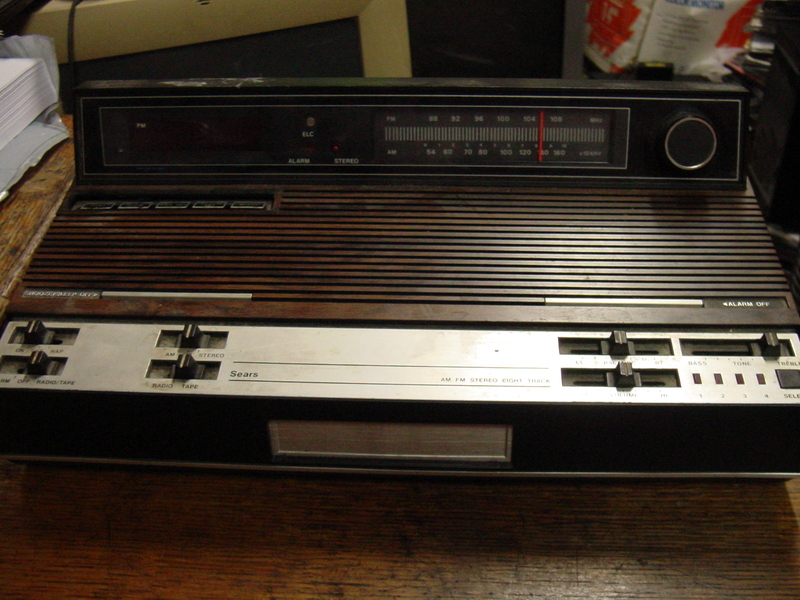 Nevertheless, there’s a small part of me that still regrets not picking that one up anyway. 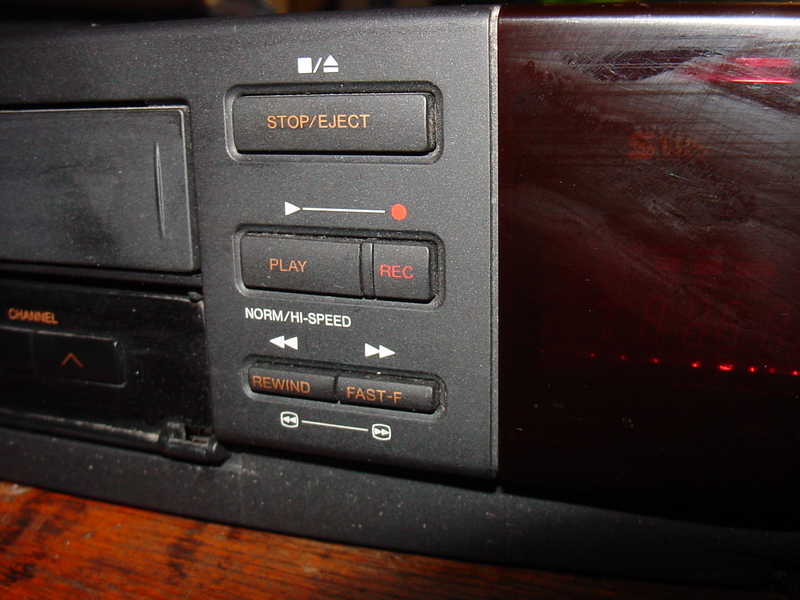 But, I’ll survive; I bought a very high-end Panasonic Omnivision VCR from 1986 that works like a dream at the same Goodwill (also $5, if I recall correctly) last year, and since that’s not only my all-time favorite VCR “wild” find, but also my favorite VHS VCR period, well, in my mind there’s nowhere to go but down from there. 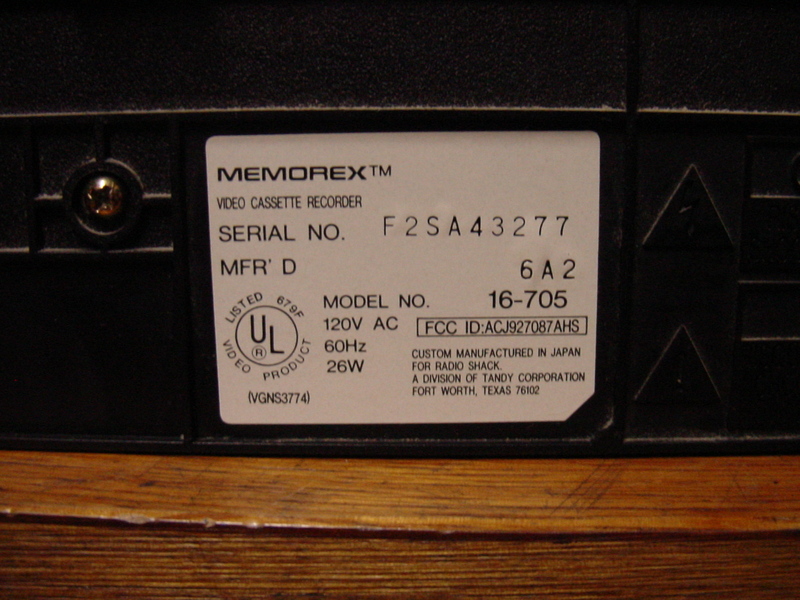 Anyway, my newly-acquired Memorex S-VHS VCR. According to a bit of online research, this is apparently a “Model 35,” though all I see listed is the model number, 16-705. 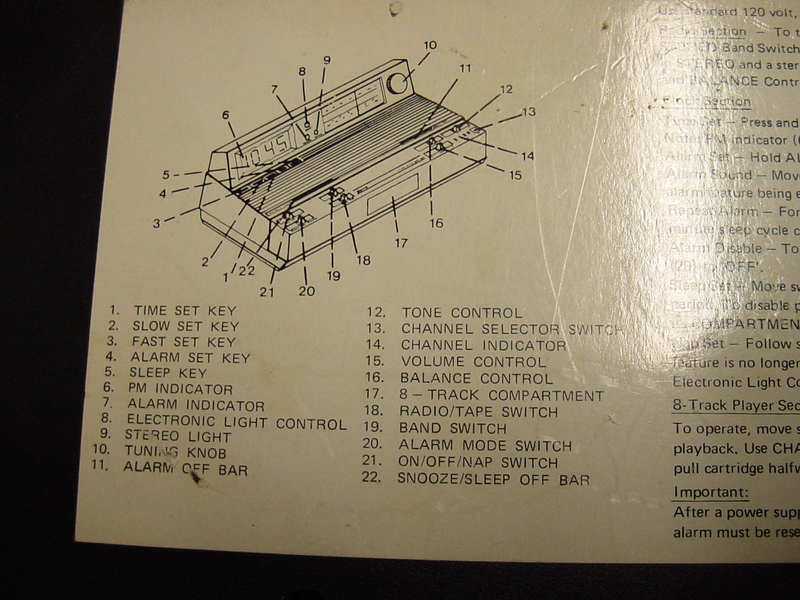 Looks like there was a door over the selectors on the front that is now missing, and there’s no date on it, but judging by the plastic casing, I’m guessing early-to-mid 1990’s, possibly late-1990’s (when did they stop making S-VHS units?). 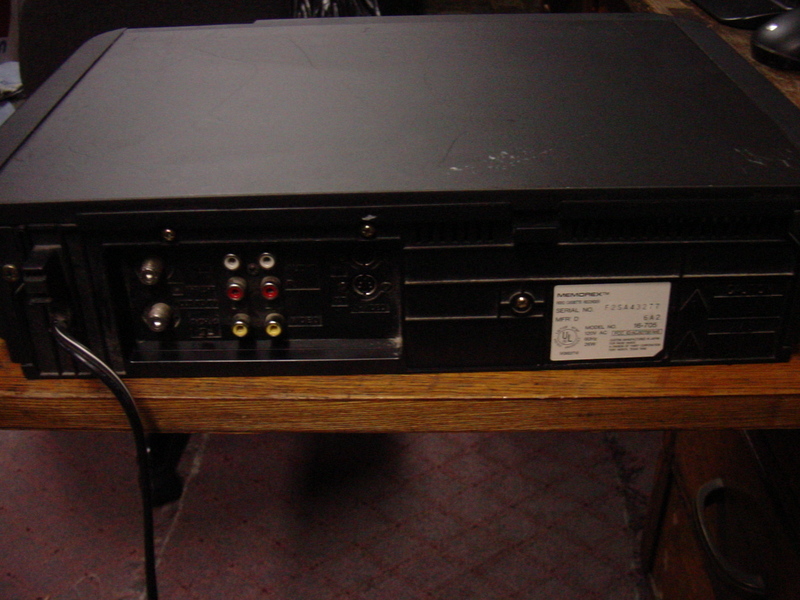 As a rule of thumb, I don’t like buying VCRs that new. 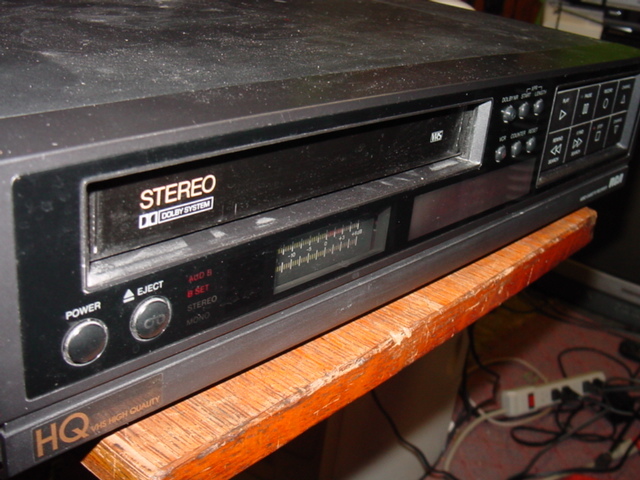 By the 90’s, many VCRs were being made more on the cheap than they were in 80’s. So much so that with some of them, if they died, it was almost easier just buying a whole new one rather than having the old one repaired. 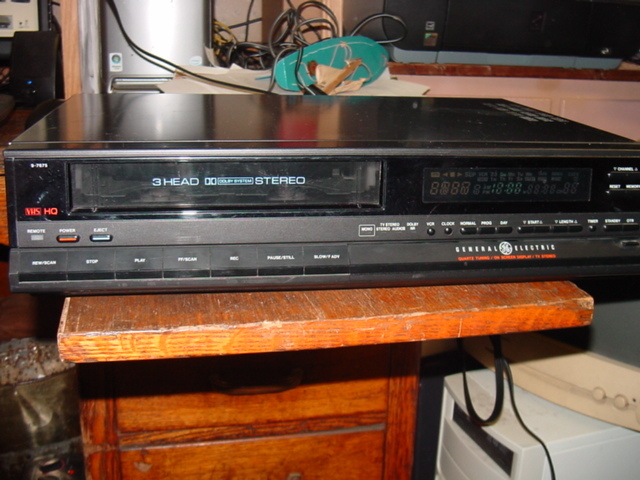 That’s my general perception, though one of the best VCRs I ever bought (new) was a high-end VHS/DVD combo unit by Sony in 2005 that still creams anything you can buy new nowadays. So yeah, there were definite exceptions to my little rule. 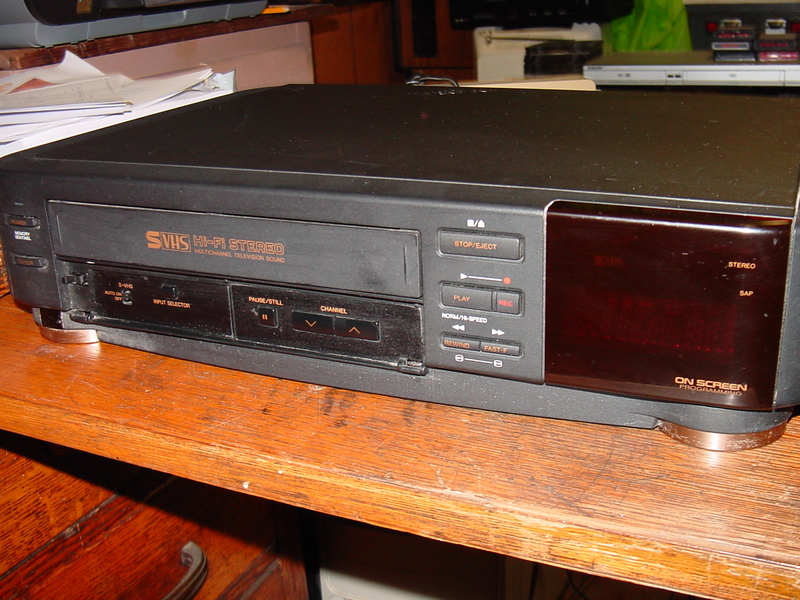 I’m guessing that because this is an S-VHS unit, it most likely cost more than your average VHS VCR back then (I mean, how could it not? 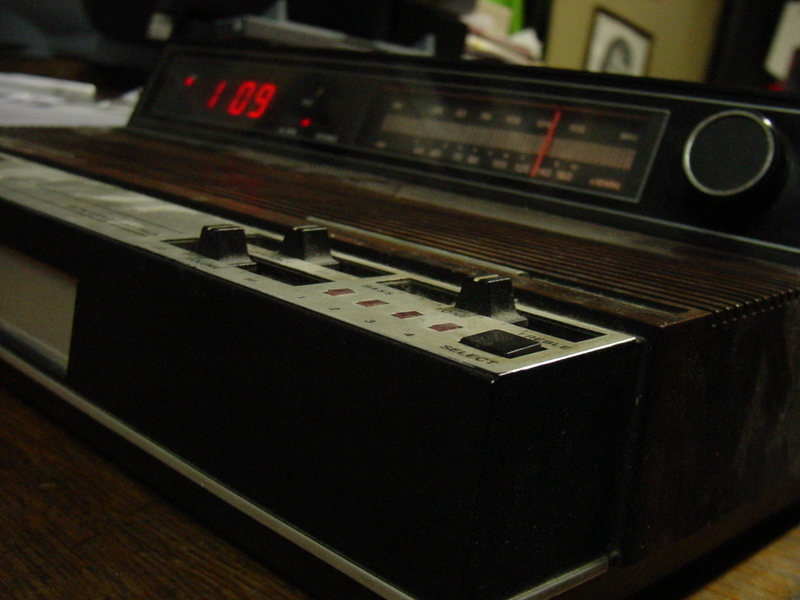 ), but I doubt this particular unit was any better than the models introduced in the U.S. in the late-1980’s. Don’t quote me on that, though. 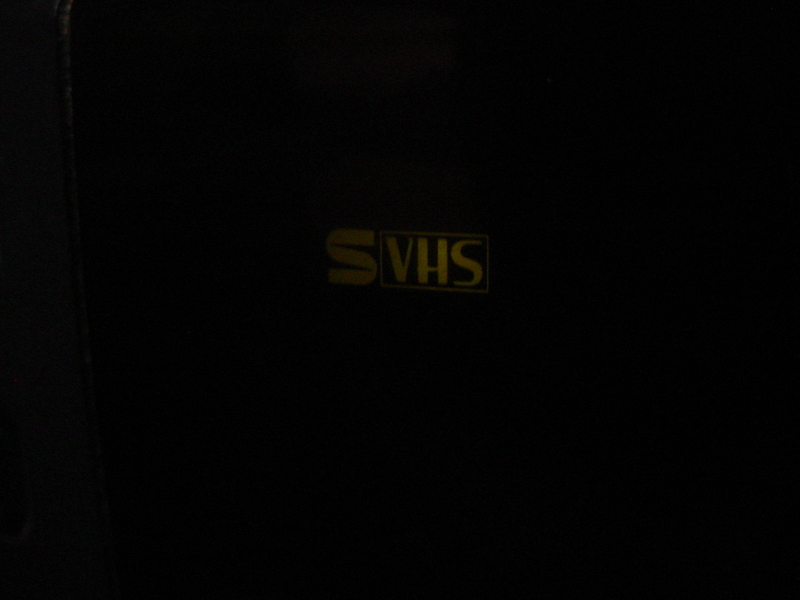 I was under the impression that S-VHS was just the VHS equivalent of the Super Betamax; that is, you could use regular VHS tapes to record programs in a higher quality than a normal VHS VCR. But, it seems that’s not quite the case. 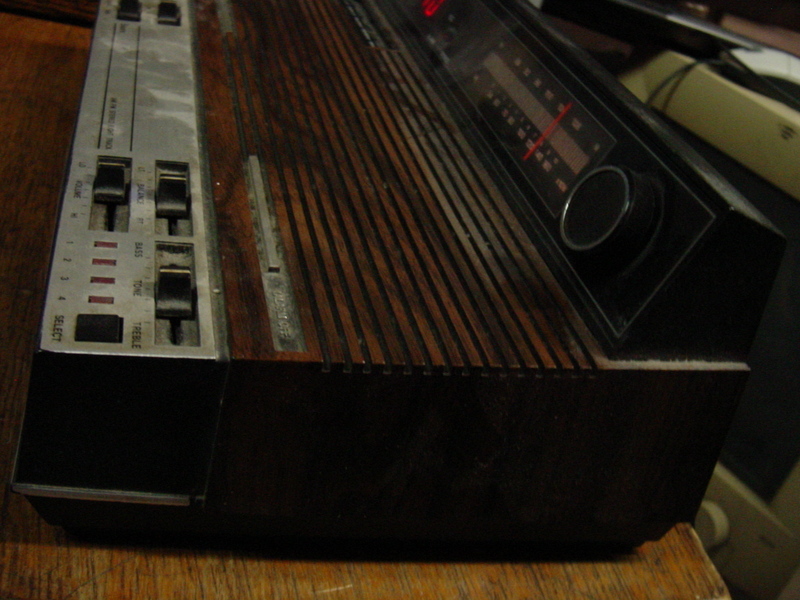 You needed specific S-VHS cassettes to take advantage of the improved recording quality. 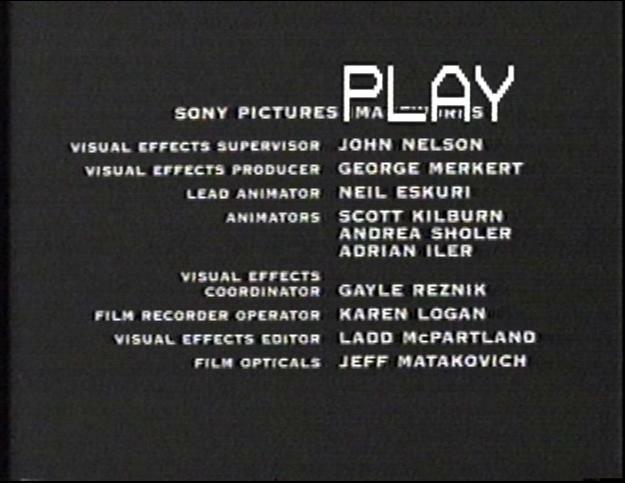 According to Wikipedia, you could use a regular VHS tape, and the recording would look a bit better, but it would also become unwatchable after several months. 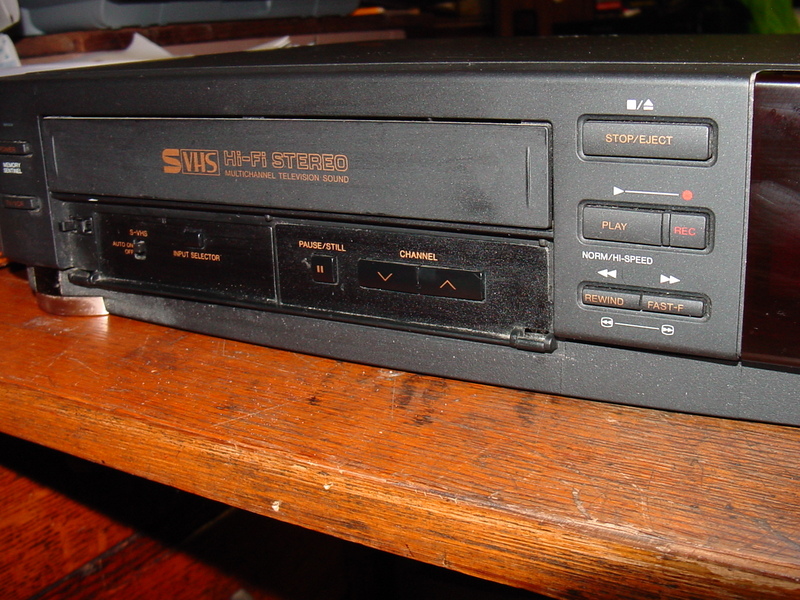 Keep in mind that I have no first-hand experience in using an S-VHS VCR, I can only go by what I’ve read, so if I’ve got something a little wrong, go easy on me. 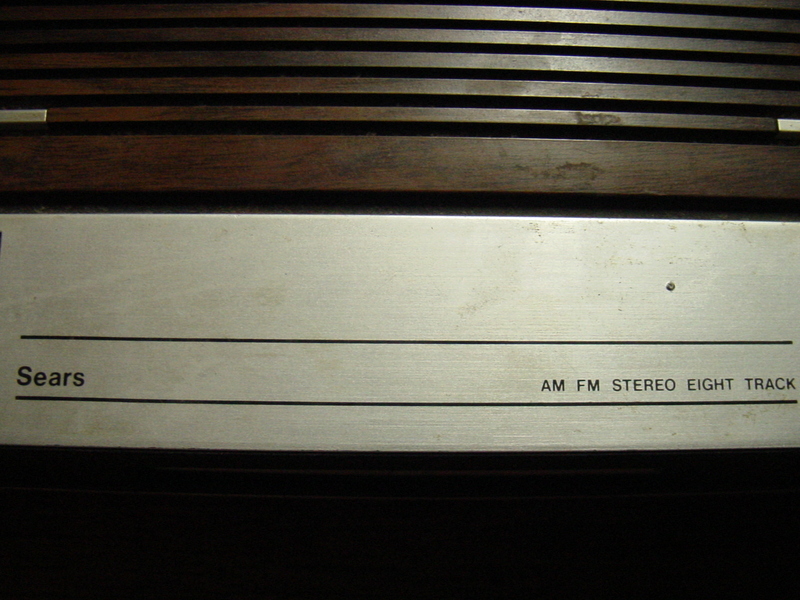 Alas, this unit may not work. 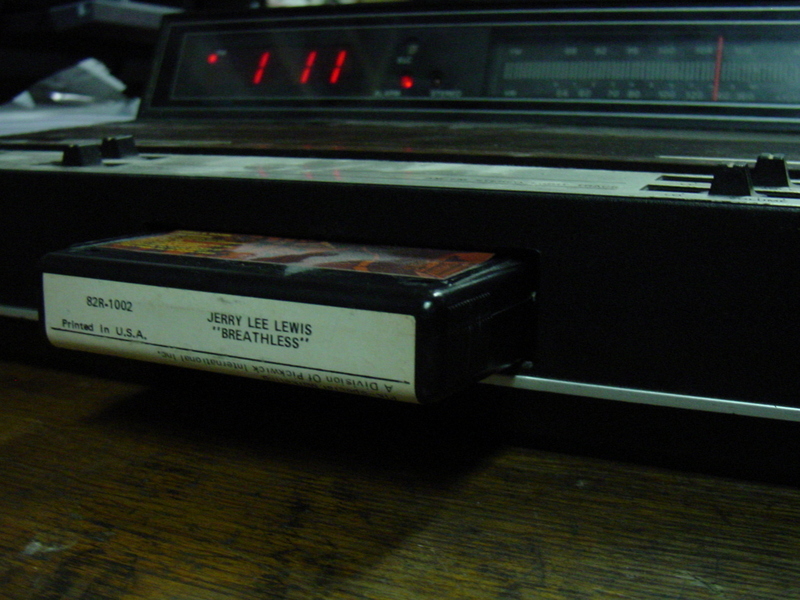 Whatever tape you put in, the machine spits right back out, thankfully without eating it. 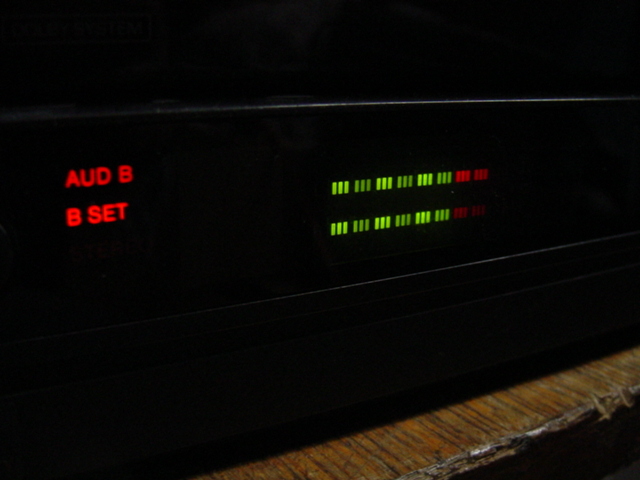 Now, this may be because I don’t have any S-VHS tapes, only normal VHS cassettes, and the VCR recognizes that (however, from how I understand it, the machine should be able to *play* regular VHS tapes). Since there were differences, albeit apparently small differences, between the builds of the two cassettes, this makes sense. 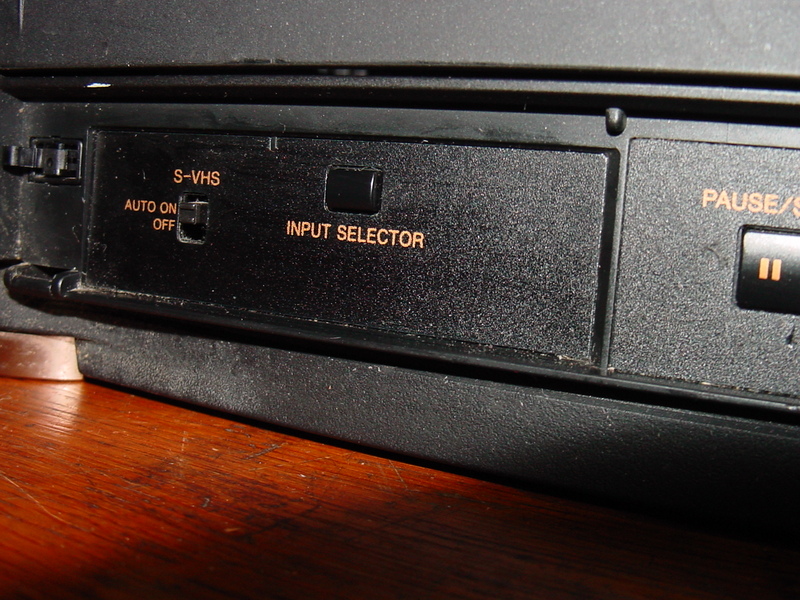 However, upon plugging the VCR in, it makes an audible ‘whining’ noise, which changes pitch slightly when “power” is pressed. 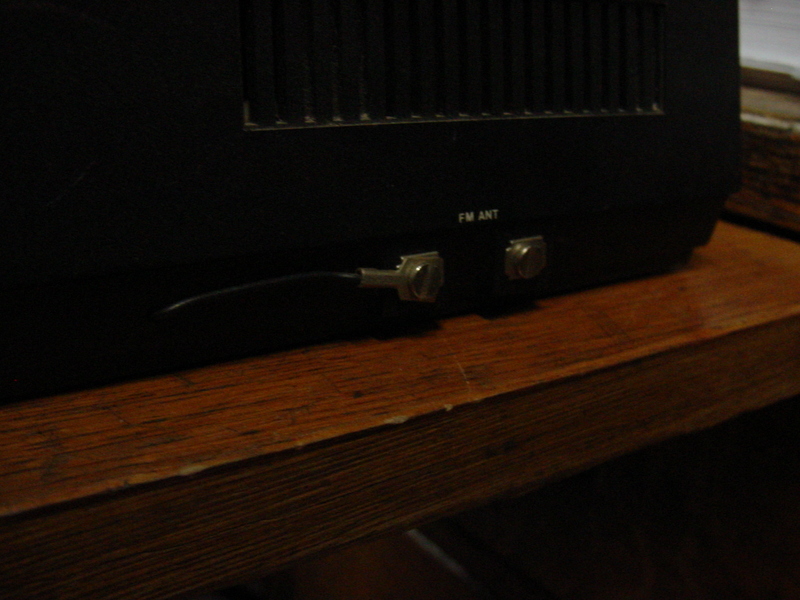 I have no idea if this is normal for these VCRs or not. 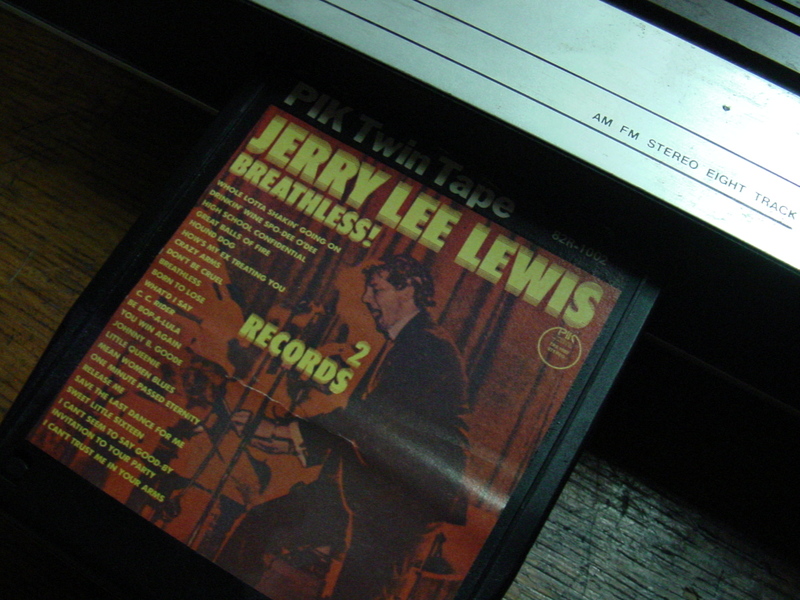 I knew about the machine spitting the tape out before I bought it (of course I plugged the thing in a grabbed a random tape lying about to test), and I actually put it back down, but my love of old VCRs got the better of me, and (obviously) I ended up buying it. 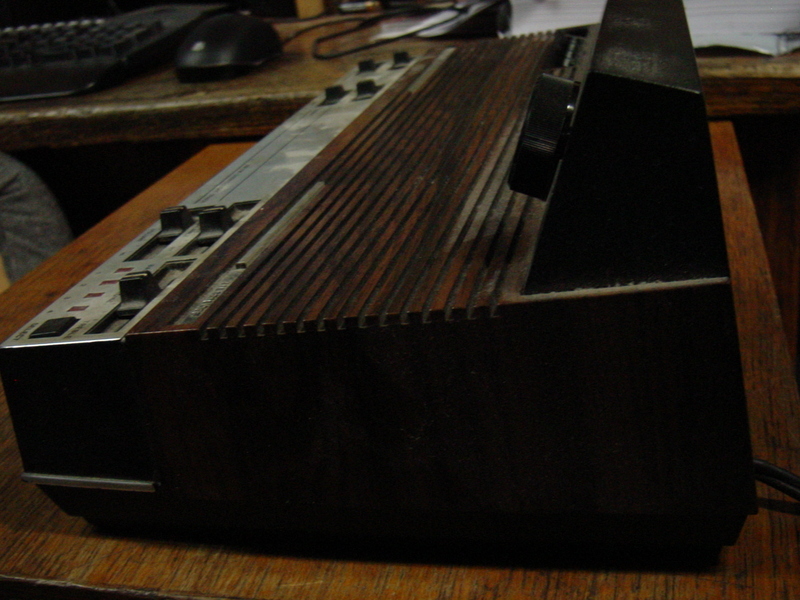 Like I said, I’ve never come across one of these before, and cheap casing or not, I do actually like the look of the thing. 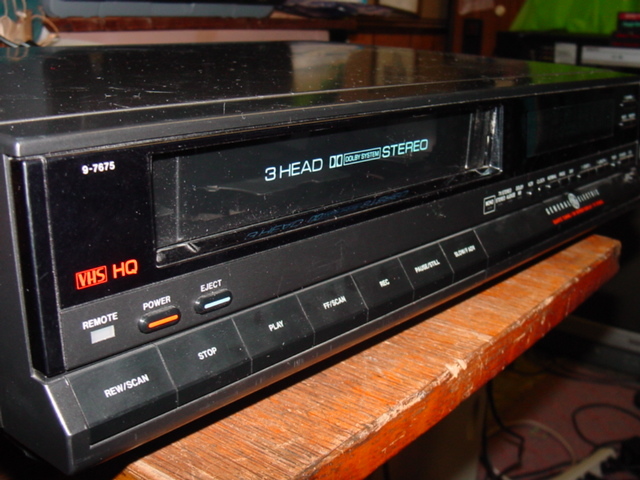 If this was a VCR that took regular VHS tapes but recorded in higher quality, I would have considered having it repaired and regularly using it (it has S-Video inputs! 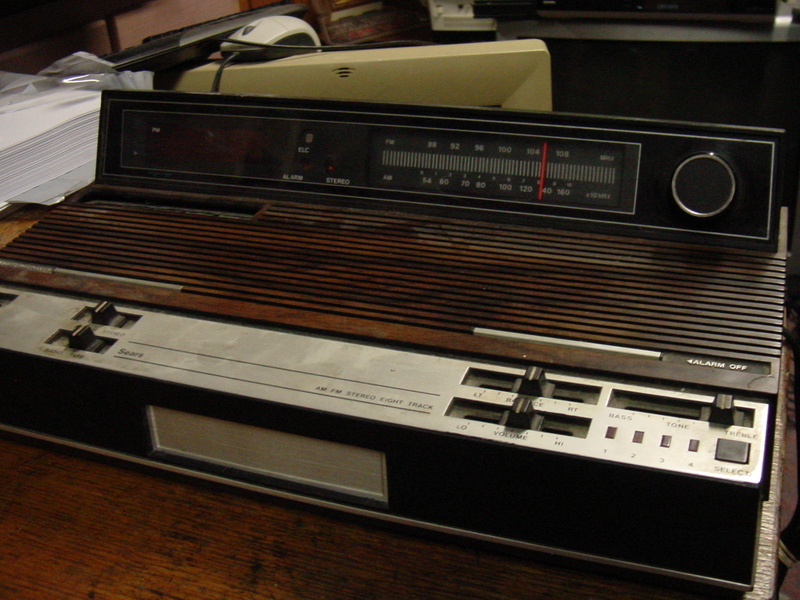 I could hook this up to my usual “recording” TV if I wanted! 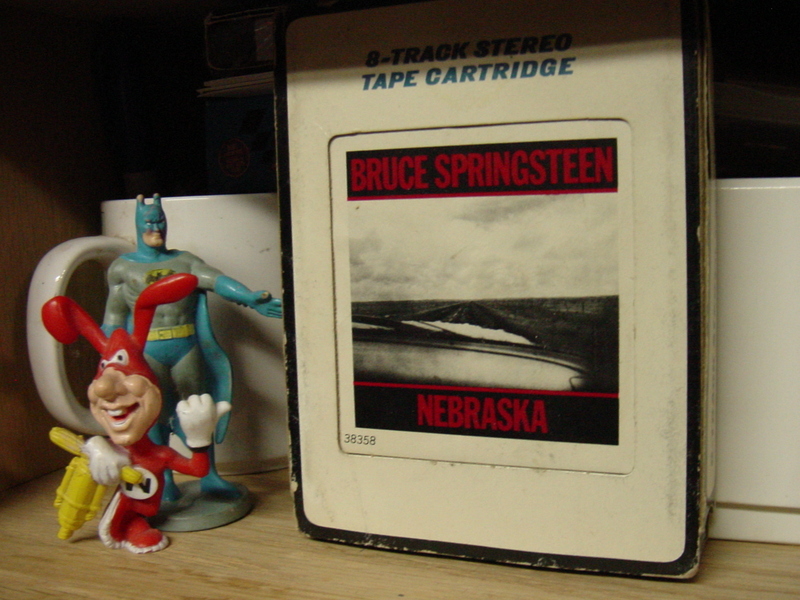 ), but as it stands, it’s just another cool addition to my ever-growing VCR collection. 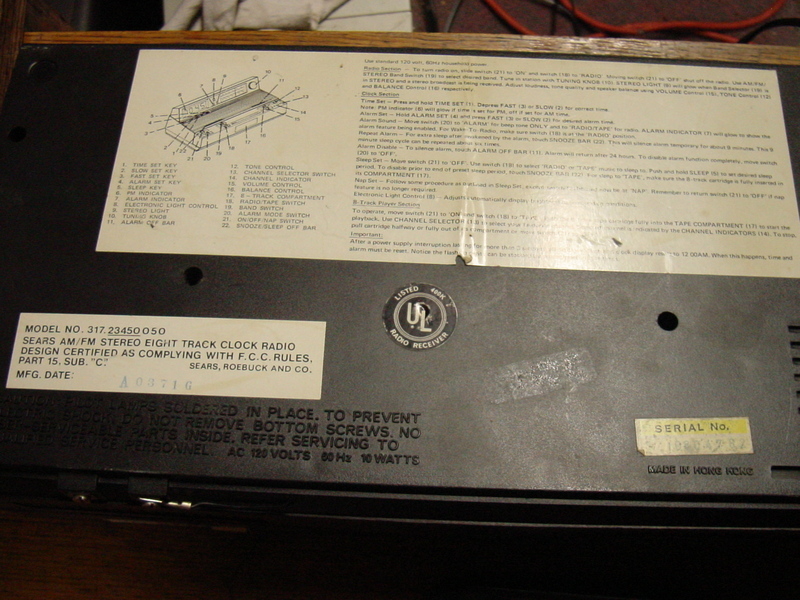 This entry was posted in Uncategorized and tagged 16-705, 16705, article, beta, betamax, cassette, machine, memorex, model, model 16-705, model 35, overview, record, recorder, recording, review, s-vhs, Sony, super beta, Super Betamax, super vhs, svhs, tape, unit, vcr, vhs, videotape on September 16, 2013 by neovideohunter.